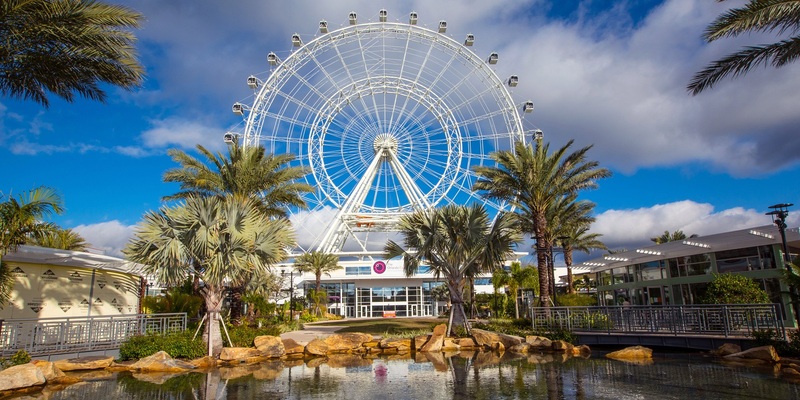 Today, Orlando Eye, a 400-foot observation ferris wheel opens on Orlando’s International Drive just off I-4 down the road from Ripley’s Believe It Or Not and the huge Lockhead Martin plant. The Eye is the fifth largest in the world and second only to the High Roller in Las Vegas. The new attraction gives 450 people in 30 air-conditioned capsules a birds-eye view of Universal Studios and Sea World. It is another example of how “big” in construction, technology, and imagination seems to be the trend in tourist destinations. Down the road at the world’s largest entertainment complex, Disney is doubling the size of its shopping center Disney Springs (Disney Downtown) with some of the new waterfront restaurants already opening. At Animal Kingdom, the enormous Avatar land of Pandora attraction is going up complete with floating mountains and flying banshees. “Big” has always been a good Florida advertisement. Sixty miles away at Cape Canaveral stands the largest one-story container building in the world: the 526-foot Vehicle Assembly Building. It’s not likely to be converted into a Titusville condo. In North Miami the Canadian firm Triple Five Group plans to construct the four billion dollar American Dream, the largest shopping center in the world. I don’t care much about hundreds of shops, but I am interested in the proposed artificial ski slope and lake with submarine rides. I still believe there are times when American tourists want to avoid the hustle and noise of all this largeness and perhaps see things on a more mundane and human scale. That is probably why I have always pointed out the “small” things in Florida. 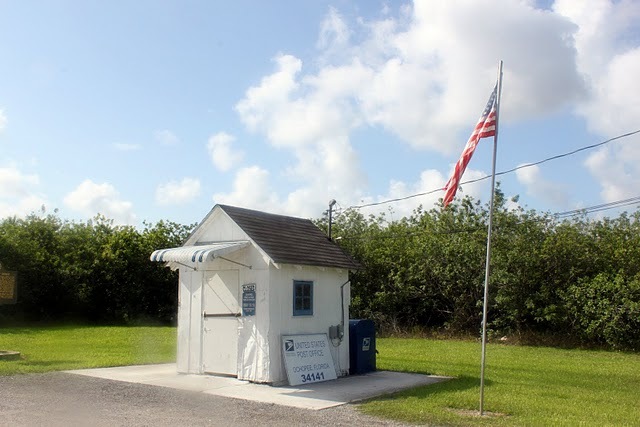 Like the world’s smallest post office sitting on US 41 in Ochopee in the Florida Everglades. The 7 by 8 foot former old farm irrigation pipe shed reminds us that things started small in this country. 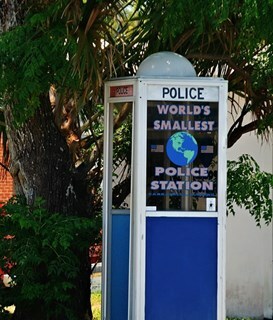 Another of my favorite “smalls” is the original Carrabelle police station – a phone booth on US98. After a tourist from Tennessee tried to steal the attraction, the original booth is now at 105 St James Avenue (US98) next to the Carrabelle Commerce. It’s nice to visit big things , but never eliminate the little things on vacation. This entry was posted in florida history and tagged Disney food, ferris wheel, Florida attractions, Miami, orlando. Bookmark the permalink.